Burst water pipe stock image. Picture: Boksburg Advertiser. The hospital reportedly started experiencing low water pressure on March 13 following repairs to a few burst pipes. Water supply has been fully restored to Bertha Gxowa Hospital and parts of the Germiston CBD which were affected by an interruption over the past five days, said the city of Ekurhuleni said on Tuesday. 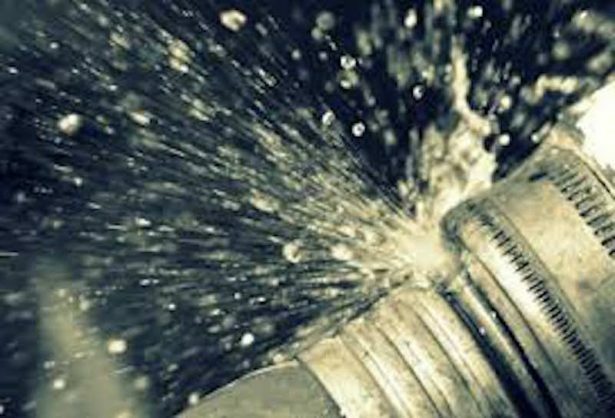 In a statement issued by Nhlanhla Cebekhulu, the divisional head for communication and media relations, the city said: “The hospital started experiencing low water pressure on Wednesday, 13 March, following repairs to a few burst pipes in various parts of the town. “While the work to restore water was taking place, the hospital was consistently supplied with water by four water tankers to ensure that the water levels in their storage tank [were] kept above 75% to give supply to the internal wards network and accommodate any possible emergency incidents such as a fire,” said the statement.